Yesterday (Sunday 8th of October) we experienced a partial outage of our service due to a failed attempt to hack our system. The attack caused an error in one of our server’s storage capacity, resulting in a interruption of our service for some users. 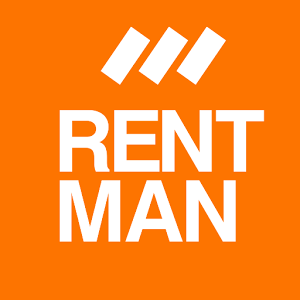 At 17:58 (CEST) one of our three active Rentman 3 servers was affected by an attempt to break into our software. For this period, the server was unable to handle any incoming connections. The attempt to hack our software was prevented by our highly secured systems, but did regrettably result in a partial outage of our service. When our automatic security systems detected the erroneous server the server capacity was increased from three to ten servers. However, because the deficient server was still online, every one in ten responses was denied. Because every action in Rentman triggers multiple responses, some users were unable to use the software. At 22:58 our engineers successfully ended the attack and placed the affected server offline. After this, we focused on finding the root of the attack. We discovered that that the hackers attempted to access user data. Our highly secured systems acted appropriately and prevented the attempt, making sure no data was accessed. However, we could not prevent the attack from disrupting our software’s performance. We have all possible security measures in place to prevent hackers from accessing our user’s data. Our team is working hard to continue the investigation of this incident and will take appropriate measures to prevent a loss of performance in case of a similar event happening. Since our users rely on our software to perform their work, we regret any outage of our services. Please know that the stability and safety of our services have our highest priority. We will update this article when we have more information on the issue. Rentman 4G and our mobile app were not affected by this. We sincerely apologize for any inconvenience. Please contact us should you have any questions.